San Ramon, Calif., U.S.A.-based Chevron Oronite said it is steadily achieving milestones within three capital projects that will continue positioning it for growth, further enhance its supply reliability, and increase its global flexibility to source critical components for its customers. 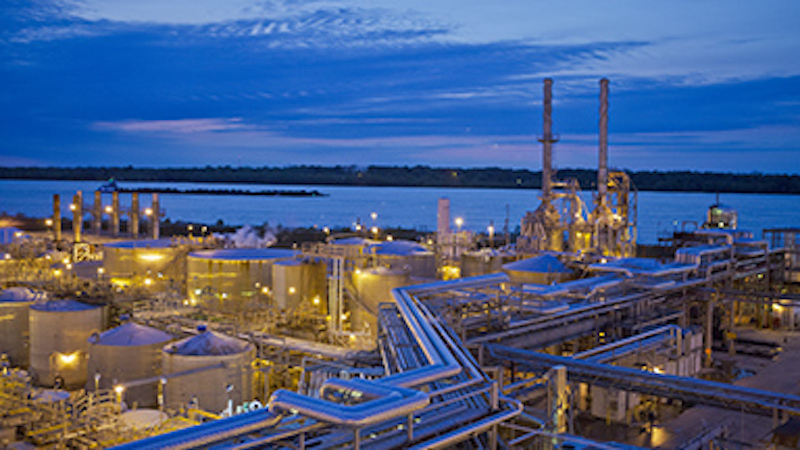 The three projects – which include expanding detergent capacity in Gonfreville, France; adding Carboxylate production capacity in Singapore; and upgrading the infrastructure at its Belle Chasse, Louisiana, USA, facility – represent the next phase in a series of major capital projects that collectively represent the company’s highest level of investment globally since 1999 and includes a significant expansion of the Singapore plant that was completed in 2014. The first project, recently completed, is the expansion of detergent production capacity at Oronite’s Gonfreville manufacturing plant. Now ready for commercial production, the plant has roughly doubled its detergent capacity, increasing both carboxylate and over-basedsulfonate production. The company recently reached a final investment decision on a project to add carboxylate production to its Singapore plant, which will double Oronite’s carboxylate capacity worldwide when completed, currently expected in 2017. Carboxylate is an effective, sulfur-free detergent often used in high performance additive packages. The added capacity in Singapore will enhance Oronite’s ability to provide supplemental detergent needs across its global network. Also the result of a recent investment decision, Oronite will proceed with infrastructure upgrades at its Belle Chasse plant to expand its production capabilities in preparation for the upcoming North America PC-11 and GF-6 category changes in heavy duty and passenger car engine oils, respectively. The project’s scope includes new and repurposed tankage, new piping, advanced blending capabilities, new mechanical equipment and new instrumentation. The collective work is expected to be completed by the end of 2016. “Our strong commitment to the projects at all three of our world-scale plants is a reflection of the confidence and trust that our customers place in us to deliver the flexibility and security to meet their needs now and well into the future,” Xiao said. Chevron Oronite Company LLC is an indirect, wholly owned subsidiary of Chevron Corporation. Collectively, Chevron Oronite Company LLC and other companies in the Chevron Oronite business unit are a leading developer, manufacturer and marketer of fuel and lubricant additives, helping provide solutions to customers globally.